Foundation is the canvas for your skin, without a good foundation technique, you will have a hard time making all the makeup work together. We all want flawless skin, but unfortunately, most of us were not born with that. To make up for that lacking in our skin, a foundation is our go-to for making ourselves look beautiful. Everyone has a different kind of skin type. If you look closely you can see that people come in all different colors. Your skin can have a red tint or a green tint or any other tint under the rainbow. Find what works for you, and experiment often until you find what’s right. There are many different kinds of foundation to choose from, with liquid, powder, and cream being at the top of the list. Experiment and find what works for you specifically. Your skin type can dictate what type of foundation works best. Find out whether you need heavy coverage or light coverage, and what your skin responds best to. Use cleansing water, also known as micellar water, to clean your face first. This is basically a special kind of water that has tiny oil particles suspended in it. These oil particles absorb dirt and oil from your face leaving it completely clean. As an extra bonus, you can get cleansing water with toner in it. Put on your moisturizer and let it sit for 5 to 10 minutes before you start applying your foundation. This simple trick makes all the difference in the world on how well a foundation rests on your skin. One of the hardest things to find is a good foundation that matches your skin tone. If you choose one that’s too light you can start to look like a clown. If you are not sure of the right shade, you can choose a few colors that are very close and swipe them along your cheek to compare. Make sure that you use bright, natural lighting when you compare the colorations. When you apply makeup it should be done in order. Put any color correctors on your face first. If you have any red splotches, you can apply a thin green spot coating to counter the red. Next apply your foundation all over. As a final check, you can add concealer for anything you weren’t able to cover up completely. Remember to keep things smooth and as thin as you can get away with. One of the best ways to apply foundation is using makeup sponges. It makes it much easier to dab the foundation and blend it. 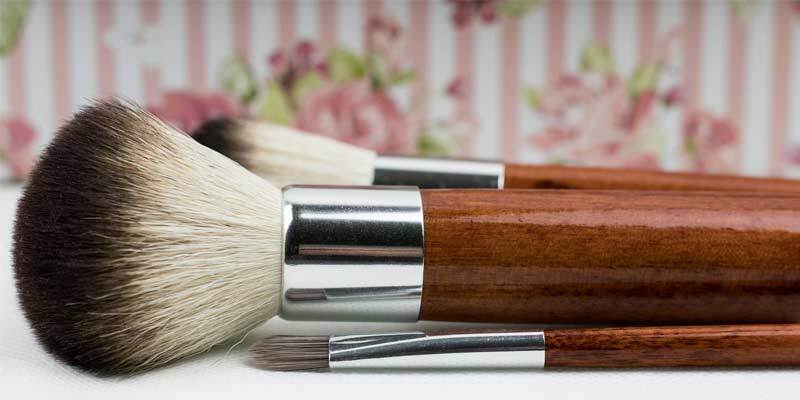 Almost every professional makeup artist will use sponges. It may take you a bit of practice on how to use them correctly but once you master them you’ll never go back. Remember to feather your foundation out to your neck and your ears. The sides of your face should match the front in coloration. You also don’t want a different colored neck, especially if you’re wearing a low-cut top. Feather your foundation down your neck and over your chest and whatever exposed skin there is. The idea here is to make it thinner and thinner so you do not have any line demarcating where the foundation stops. If you are not doing eye makeup, make sure to apply some Foundation over your eyelids as well. This will reduce any redness. It is always a good idea to check your makeup and foundation in bright natural light. Ideally, you should check your makeup coloration for where you want to look your best. If you’re going to be outside you need to check it in sunlight or full spectrum light. If you’re going to be in fluorescent light, make sure you check your makeup under fluorescent light as well. Different frequencies of light have unusual effects on coloration, so it is always good to check. Foundation is the basis for any good makeup. Learning how to apply at like a professional will take you a long way. Even if you do not have smooth and beautiful skin, it can make you look like you do. When it is done well, people will comment and compliment you on how beautiful your skin is, and when that happens you know you’re a success.